According to Charity Navigator, nonprofits raised “$742.6 million in ‘Harvey restricted’ funds from August 2017 to December 2017.” Chris Matthews of the Houston Business Journal notes that the same report indicated that, “An additional $13.7 million was donated more broadly, for ‘disaster/hurricane’ restricted funding…and $17.7 million was donated to be unrestricted in its use.” While nonprofits have been key players—and a few, notably the local Red Cross, faced criticism when they fell short—the federal government remains the dominant player. According to Adriana Navarro of AccuWeather, federal Harvey relief funds distributed in Texas to date exceed $26 billion—more than 30 times the amount distributed by nonprofits. The recovery has upended cultural norms, as the federal role is begrudgingly acknowledged. Houstonians have tended to prefer to raise private dollars. “That works great for [capital campaigns for] hospitals and museums, but it doesn’t work for this. You have to have government action. The dollars are too big, the infrastructure issues too boring. No naming rights,” a resident informed Schwartz. 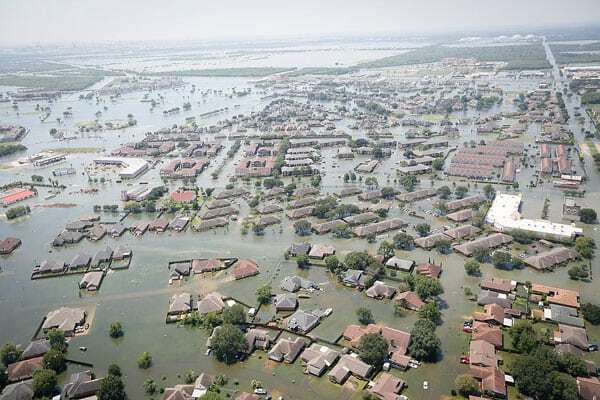 Last week, 85 percent of Houston-area voters cast their ballots in favor of a $2.5-billion bond measure to “fund projects that may include buyouts of homes in flood-prone areas, the expansion of local bayous and the construction of additional stormwater detention basins.” For Harris County (population 4.65 million) taxpayers, the cost works out to a modest average of $5 a year per household. Preserving affordable housing is critical. As NPQ reported this week, federal disaster aid, in part because it supports homeowners, can widen the gap between haves and have-nots. Indeed, in Harris County itself, when disaster aid was last distributed, the wealth gap between whites and Blacks grew by $87,000 per household. If low-income communities and communities of color are not protected, similar results could be expected this time.